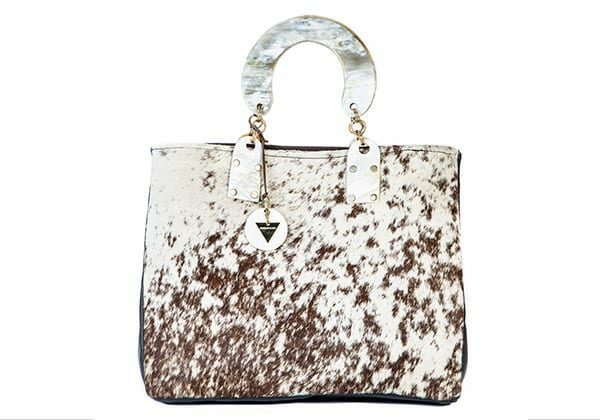 This iconic stunning tote bag is a great investment. 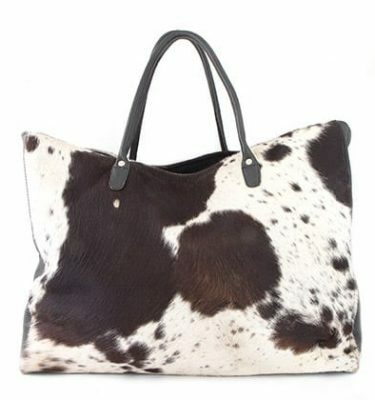 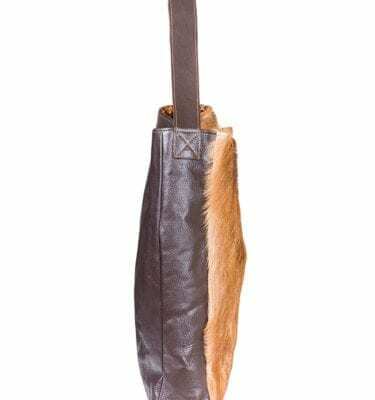 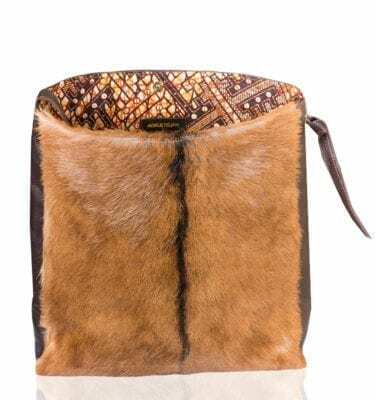 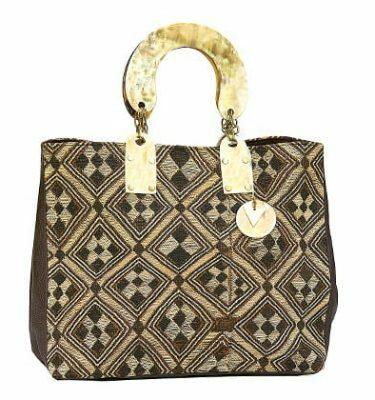 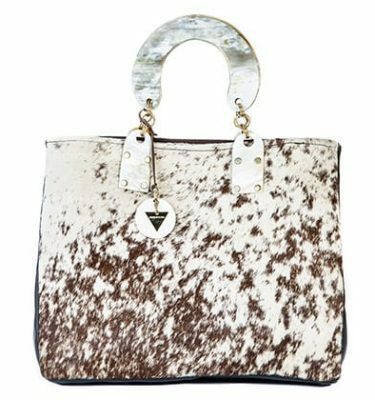 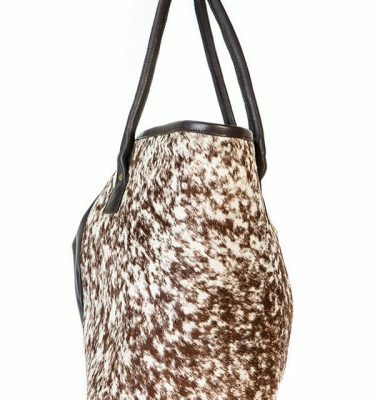 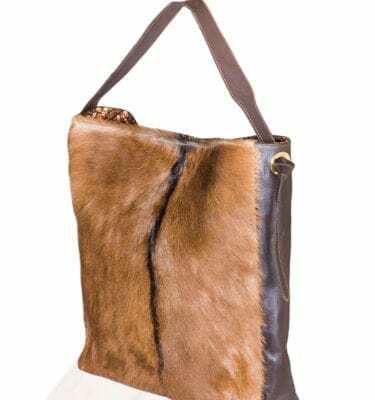 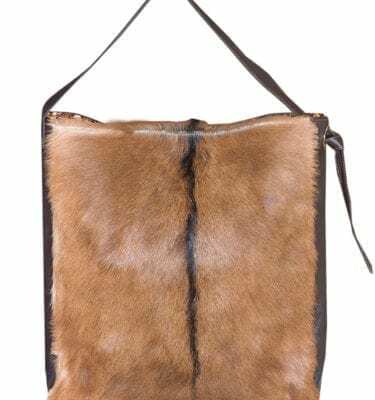 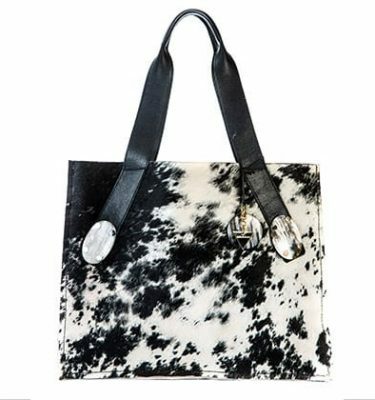 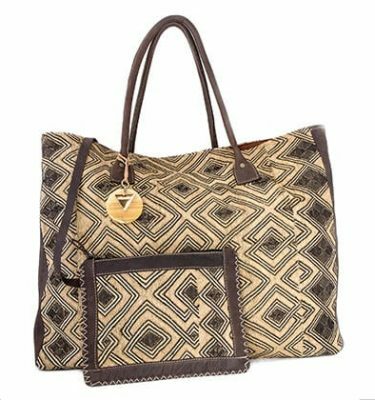 Be your own personal shopper and brand yourself with the Atoti cowhide tote bag – made for the modern woman who isn’t afraid to own her own style. 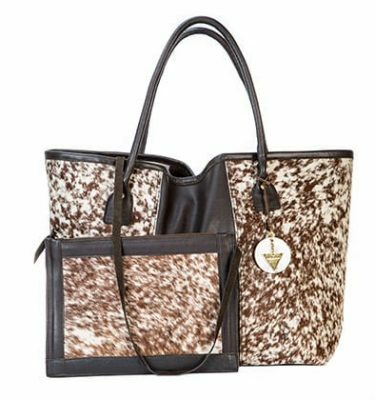 Our Atoti tote with its warm tone colour pallets will seduce you into dreams of African safaris. 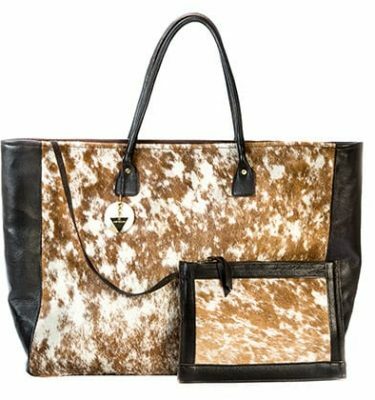 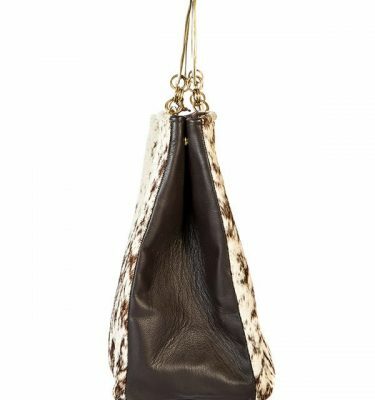 The main compartment is lined African wax fabric and the Adele Dejak cow horn and brass envy-inducing logo makes a statement. 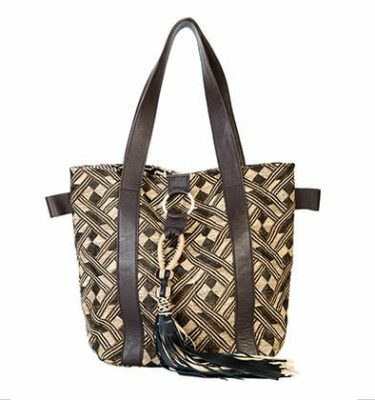 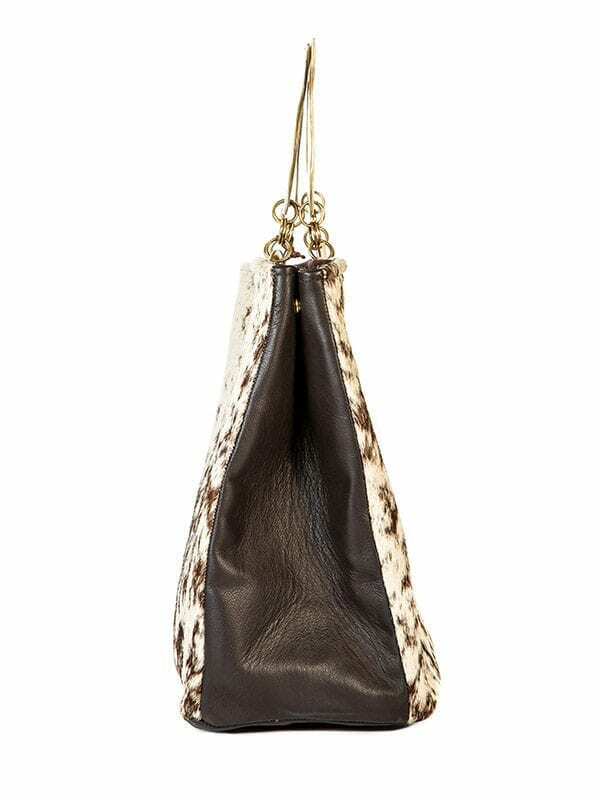 Striking the perfect balance between bohemian cool and eclectic elegance this tote is a must have. 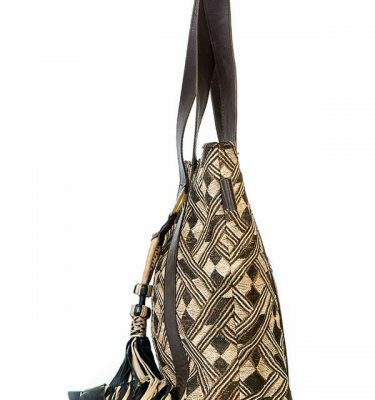 Style yours with a necklace or stacked bracelets. Or you can team your Atoti tote bag with uncomplicated fashion jewellery like our Ashley pendant. 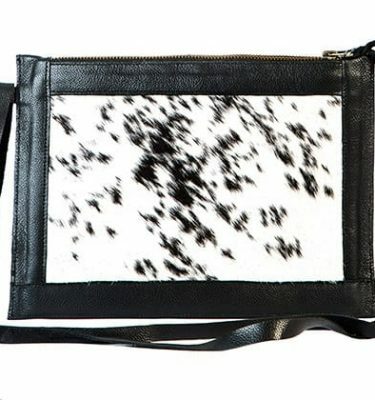 Please note that patterns or colours may vary from those in photos.